Reserve Bank Governor Raghuram Rajan said that India's economic reforms are moving in the right direction, but they remain in the country, referring to the rules of the old waste that level of improvement "does not fix". Rajan said in an interview on Thursday, 'I like your point lay, but that reform is the right' level 'is wrong. We are very much mistaken rules, the number of regulations is still very low. He said, "so we need to sort it. It does not happen in an instant, it will take time. We're doing it. We must recognize that we are a little more regulated country. Traders need a better environment. "Rajan said," With this new kind of business coming too. We will explore ways to deal with them. For example, the online loans. What would we do if there is a fall? " 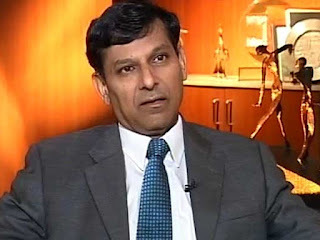 Rajan said about economic reforms in India, was replying to a question. Rajan regret about the fact that people only talk big reforms, but reforms which are underway at this time do not listen to them. Rajan said, "A lot is going on, the last week, the Prime Minister inaugurated a program called" Start-up India's. The way to start the new business barriers have been overcome. Including pension funds before launching her new business 10, 15, 20 with various authorities have to register him. " RBI Governor said, "If you have an employee pension fund then you need to do? The idea that no one should be made easier to start work, the inspection may also be different. Three years will not check any inspector. Prove that you have what you own. "He added," India is a booming private sector. Internet Market Place, too, it is much better because no land is cheap in India. If you wish to retail stores where you can not make it anywhere. " In response to another question, Rajan said he is not worried about a slowdown in China's economy. "As far as volume is concerned growth, China has been a considerable increase in dollar terms. However, the percentage has been declining steadily. An economy which is constantly getting richer and richer, his move is bound to slow. "He added," So I am not worried about the rise of China. "